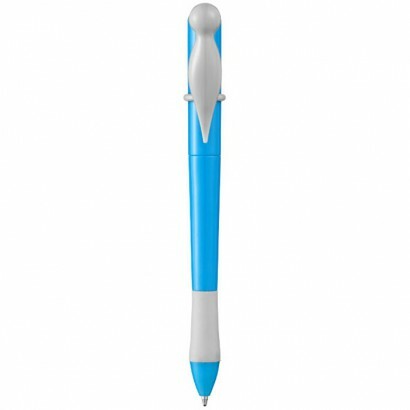 Toss your ideas around with this Exclusive design ballpoint pen incl. 707 gift box. Metal. 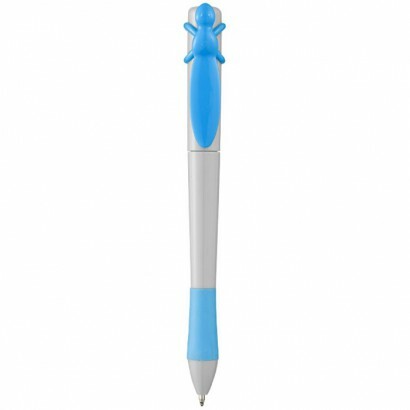 Exclusive design animal ballpoint pen. Incl. 707 gift sleeve. Plastic. 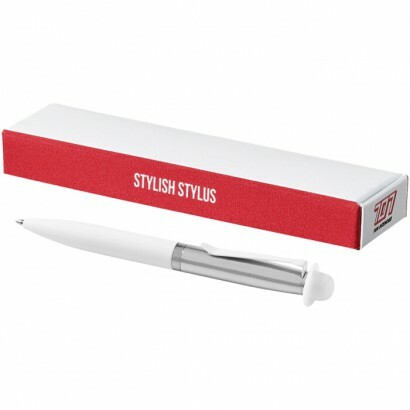 Exclusive design pocket size stylus ballpoint pen with colored hat covering the stylus tip and matching ''tie'' clip. Incl. 707 gift box. Metal & Plastic. 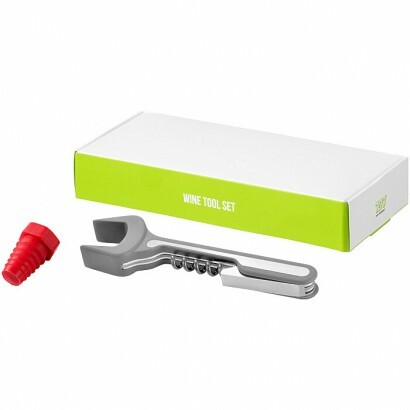 Wine gift set to open and preserve your favourite bottle of wine. 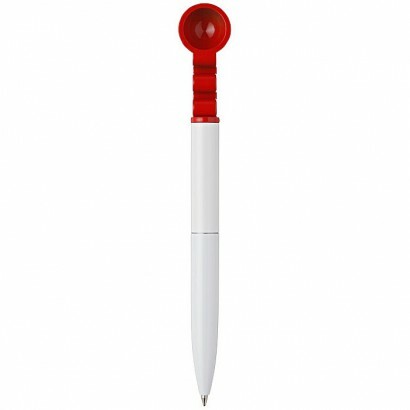 Includes a waitress knife and silicone bottle stopper. Presented in a 707 gift box. Exclusive design. ABS plastic with rubber coating and silicone. 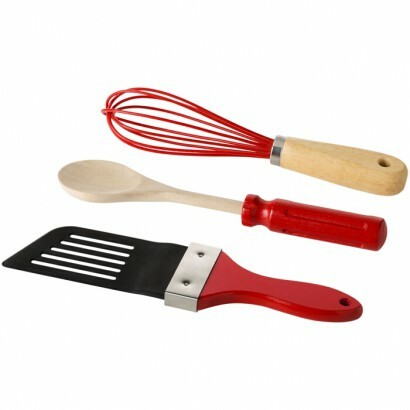 Kitchen tools set includes a whisk, spatula and a spoon. Presented in a 707 gift box. Exclusive design. Wood. Ready? Set, clean! This F1 screenwiper will clean your tablet or phone in a second. Presented in a 707 gift box. Exclusive design. Metal. 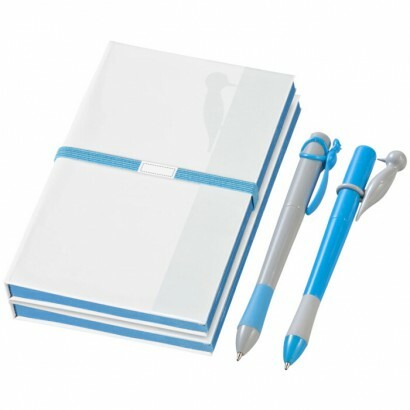 Exclusive design special notebook gift set with 2 animal ballpoint pens + matching notebooks (A6 reference), 64 blank sheets (80gsm) with color matching edges and elastic. Incl. 707 gift box (size: 14.8 x 14.1 x 3.1cm). Plastic & cardboard. Inflatable World Cup. A product for winners! 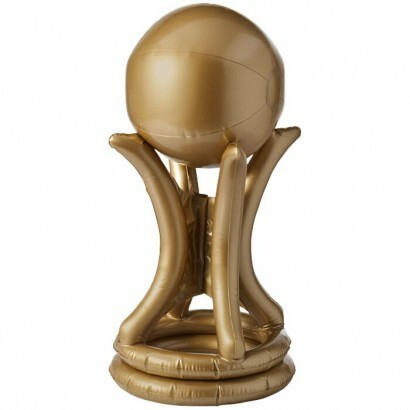 The gold inflatable world cup can be used as a trophy or to put the item on your head (please note that the item doesn't fit all sizes). Packed in a 707 gift box with safety warning label. Exclusive design. PVC. 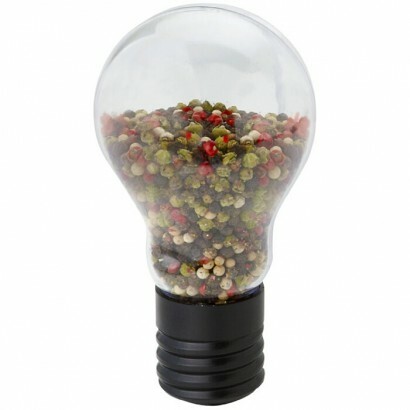 Light bulb shaped grinder features a ceramic grinding mechanism. Peppercorn is not included. Presented in a 707 gift box. PVC free. Exclusive design. Acrylic. 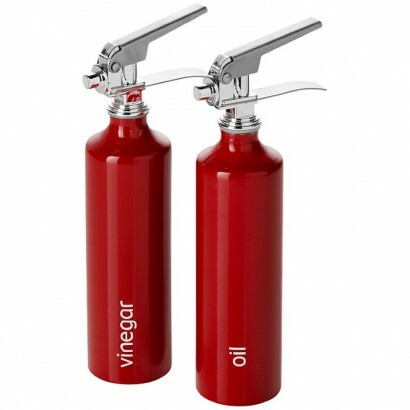 2 fire extinguisher oil and vinegar bottles. Presented in 707 a gift box. PVC free. Exclusive design. Aluminium. 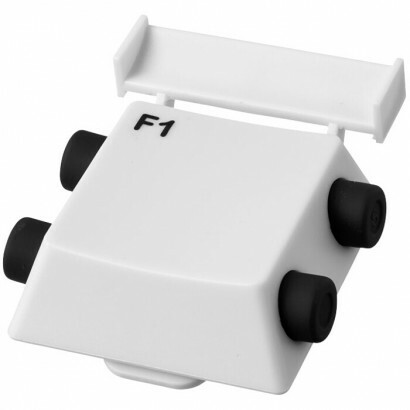 Pedometer with a design linked to a F1 car but also the F1 button on your keyboard. The wheels can be used as buttons to set the features. Acrylic, ABS & rubber coating.